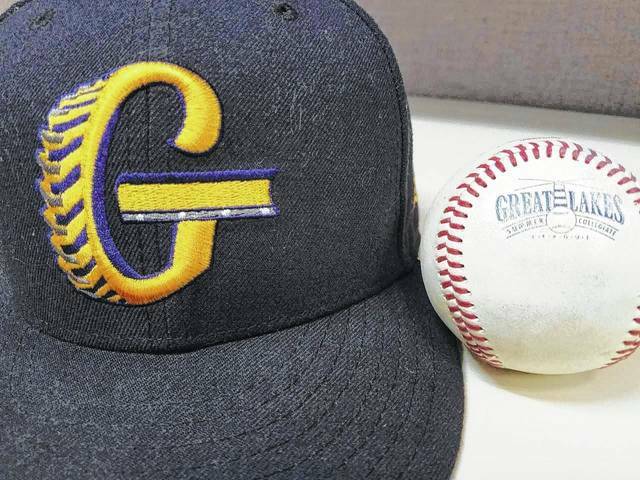 ATHENS — The Galion Graders began a long road trip back on Tuesday when they headed to Athens and Bob Wren Stadium for a two-game series with the hosting Southern Ohio Copperheads. Galion did not get off to a great start in the contest but in the end would come away with a 3-1 victory over the hosts. The Graders would go in order for the first five innings of the contest while the Copperheads saw their first and only real offensive push in the bottom of the third inning thanks to a solo home run off of the bat of Ty Suntkan to put them up 1-0. In the sixth inning, Bill Hitman stepped in for the visiting Galion squad and delivered a single with one out to break up the no-hitter in progress by Southern Ohio starting pitcher Wesley Pyles. Tyler Pavone would follow suit with a single of his own to put runners at first and second with one out before Andrew Stone loaded the bases after being plunked by a pitch. Seamus Kenneally stepped in to pinch-hit for Todd Sekowski and was awarded first base and a run batted in as Hitman crossed the plate. Austin Hathaway would hit a sacrifice fly to score Pavone from third and the Graders took the lead at 2-1 as the inning concluded with Galion stranding two runners on base. The seventh inning was a quiet one for both teams, sending the contest into the eighth with Galion still holding the narrow lead. Pavone wasted no time changing that, belting a homer on the first pitch of the top of the eighth for a Graders’ insurance run. Southern Ohio couldn’t retaliate in the home half of the frame, sending the game to the ninth with Galion now up; 3-1. Jacob Reimold would reach on a single in the final inning and eventually make his way all the way around to third but would be stranded there. In the bottom of the ninth, Stone came on in relief of Texas Norrell, who worked the eighth. Stone gave up a lead-off single to the Copperheads Blaine Crim but would get the rest of the lineup in order to preserve the 3-1 victory and earn the save. Branden Schlick was awarded the win after starting the game and working the first seven innings. Schlick allowed five hits and just the one earned run while walking four and striking out three. Norrell allowed one hit and recorded two strikeouts in his one inning on the mound and Stone finished off the home team, allowing one hit and fanning one. Offensive statistics for Galion on Tuesday were: Team- 3R, 5H, 4 LOB; Kenneally- RBI; Hathaway- RBI; Reimold- 1B; Vince Donato- 1B; Hitman- 1B, R and Pavone- 1B, HR, 2R, RBI. Southern Ohio scored their one run on seven total hits while stranding six runners on base in the contest. Neither team committed an error in the playing field. ATHENS — In the second game of their series on Wednesday, June 20, the Copperheads were able to get the better of the Graders, winning the contest by a final tally of 5-2. The win moved Southern Ohio to 7-2 overall while Galion fell to 7-3 overall with the defeat. After the Graders went in order to begin the ballgame, the Copperheads got their offense going with Suntkan being hit by a pitch via Galion starter Eli Crall. Suntkan would then be awarded second base after the umpires called a balk on Crall. Jack Longo would proceed to groundout to Graders first basemen Juan De La Cruz, moving Suntkan to third and eventually crossing the plate after Crall tossed a wild pitch to put the home team up 1-0. The second began with Reimold getting aboard via a walk after De La Cruz lead-off the inning with a groundout to second. Reimold would be stranded there after Copperheads starting pitcher Jeff Ciocco struck out Christopher Jordan and Donato. Southern Ohio went quietly in the bottom of the frame despite a Scott Combs two-out double. In the third, Pavone would get Galion’s first hit of the game and proceed to steal second base but the Graders offense couldn’t get much else going in the frame. The home half of the inning saw some sloppy play by the Galion defense and would lead to the Copperheads tacking on two more runs to take a 3-0 advantage heading into the fourth. Galion would finally get on the board in the fourth as De La Cruz delivered a solo home run with one out to start the minimal rally. With two outs, Jordan ripped a single and then stole second and following a walk to Donato, the Graders had runners at first and second. Cole Andrews would plate Jordan on a single and put Donato over to third before Pavone struck out to end the inning but Galion cut into Southern Ohio’s lead, making the score now 3-2. The Copperheads would strike again in the sixth and eighth inning, adding a run in each frame and put the game at its eventual final score of 5-2. Throughout the fifth through ninth innings, Galion managed just one hit, a single by Michael Rodriquez and stranded two runs to lead to the defeat. Southern Ohio scored their five runs on just four hits and stranded five runners on in the game while Galion posted two runs on six hits and stranded five. Both teams wrapped the contest with one error apiece in the field. Crall took the loss for the Graders after starting the game and working three innings while giving up just one hit, three runs (two earned), walking two batters and striking out three. Nick Smith tossed the final five innings, giving up two earned runs on three hits while walking two and fanning four. Offensive stats for Galion were: Stone- 1B; Rodriquez- 1B; De La Cruz- HR (3rd of the season), R, RBI (14th); Jordan- 1B, R, SB (4th); Andrews- 1B, RBI and Pavone- 1B, SB. The Graders road trip will be interrupted by a one-off game at home on Thursday against the visiting Licking County Settlers. Galion will then head back to Newark for another meeting with the Settlers on Friday. A weekend series in Lima awaits the Graders on Saturday and Sunday as they clash with the dreaded Locos. On Tuesday and Wednesday of next week, Galion will head to Michigan for a two-game series with the Saginaw Sugar Beets before returning home for a meeting on Thursday, June 28 with the Hamilton Joes.